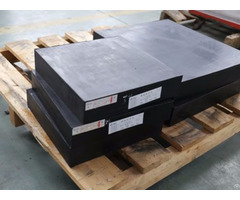 PTFE sliding elastomeric bearing, one type of elastomeric bearing pad, is formed by adhering a layer of 1.5 mm to 3 mm thickness PTFE on the surface of laminated elastomeric bearing pad. 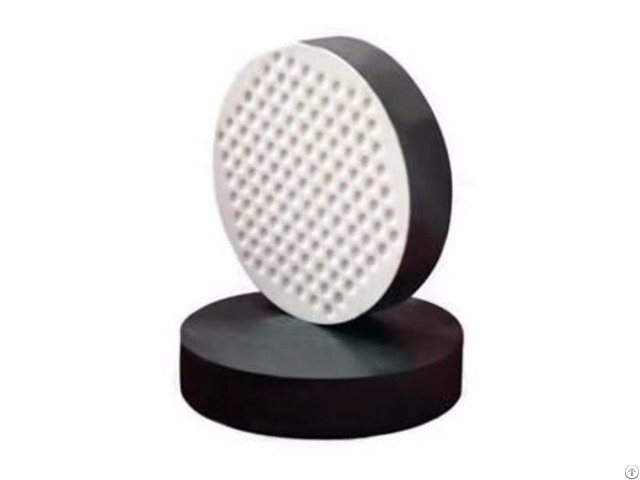 Compared with laminated elastomeric bearing pad, it is added a layer of polytetrafluoroethylene which has low friction coefficient, thus the beam end can freely slide on bearing surface and the horizontal displacement will not be limited. 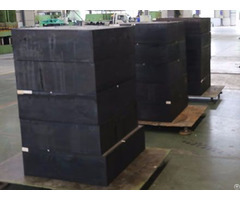 PTFE sliding elastomeric bearing is suitable for bridges with medium or small loading and large displacement. Low friction coefficient. The beam end can freely slide on the PTFE surface. Dimples on surface. With dimples on PTFE for contain lubricant to ease the sliding movements. PTFE sliding elastomeric bearing is suitable for large displacement bridges with structure of large span, multi-span continuous beam, simply supported beam and continuous slabs. 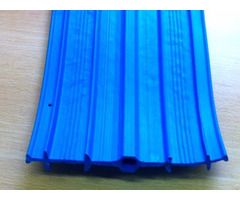 It can also be used as the sliding block for pushing of continuous beam and cross sliding of T-shaped beam.